With street artist Banksy taking on the Mouse with his dystopian amusement-park installation Dismaland, it’s probably a good moment to revisit the time when he took over another Magic Kingdom — New York City. 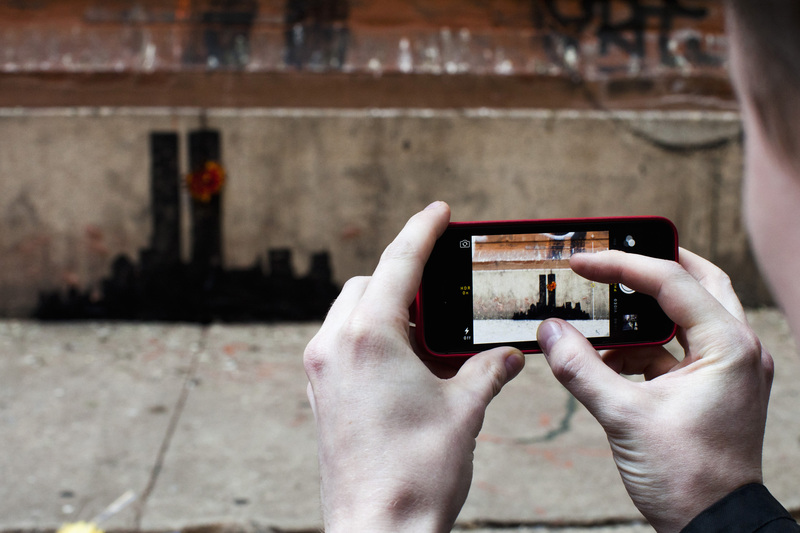 The pieces ranged from recognizably Banksian street art — such as a small drawing of the Twin Towers, with a bright orange flower inserted in a crack to represent the first plane hitting on 9/11 — to more elaborate installations. For sheer whimsy, it’s hard to beat a fenced-off yard in which a Grim Reaper rides a bumper car around and around. My favorite of his pranks was setting up a street vendor in Central Park to sell signed, authenticated Banksy art anonymously (each piece worth about $250,000) for $60 a pop. At the end of the day, only seven pieces sold. 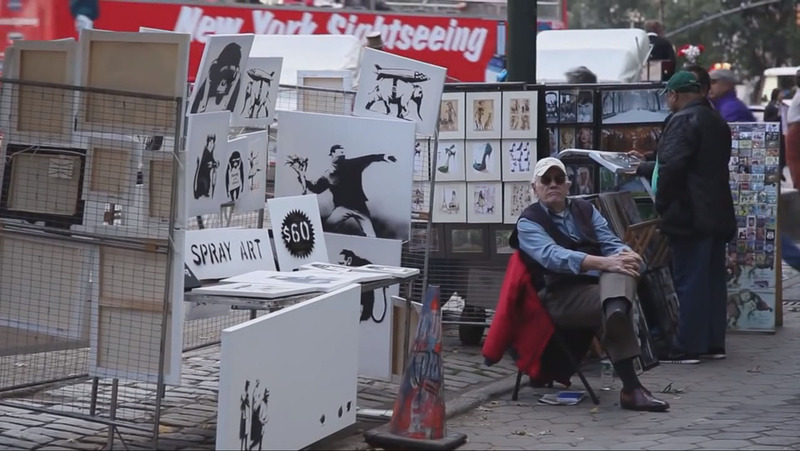 That street vendor prank, and the “I-coulda-hadda-Banksy!” frustration it illicited from some fans afterward, illustrates that Banksy’s contribution was really only half of the art — the other half was the response by New Yorkers. Mobs would flock to forgotten corners of the city to Instagram the latest piece, and taggers would add their own flourishes to Banksy’s work. Annoyed building owners would paint over priceless works — some would only last hours. And, this being New York, a few enterprising few tried to profit, whether they were selling $5 peeks on the street or carting off a Banksy garage door and selling it to a collector. The reactions were so perfect that one almost wonders if Banksy had a hand in engineering them as well. 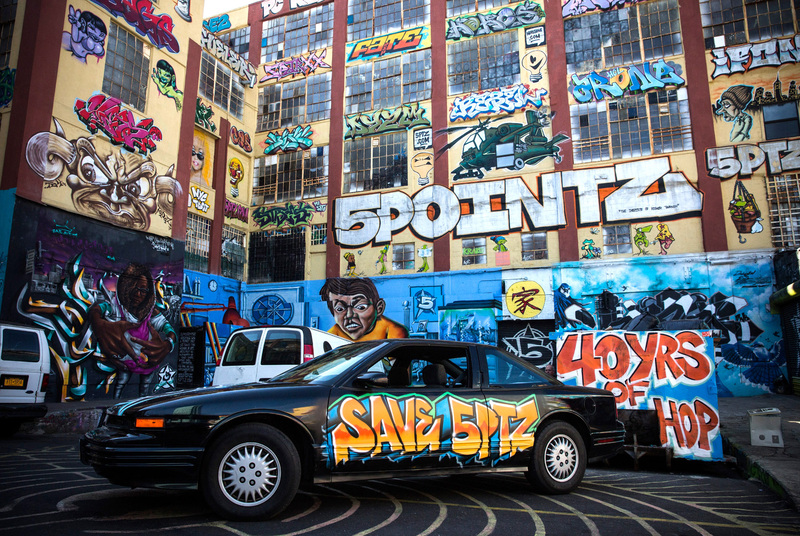 Mayor Michael Bloomberg couldn’t have been a more perfect foil for Banksy, sniffing that street art was “a sign of decay and loss of control” and siccing the NYPD to try and catch Banksy or at least sabotage his antics. The image that opens and closes the film, of police officers wrestling Mylar balloons spelling out “BANKSY!” into the back of a patrol car, is almost too perfect. And, as a final irony, we see a new high-priced apartment dwelling built that includes corporate-sanctioned, Banksy-knockoff street art on its walls. Banksy has never been accused of subtlety or nuance, but his cheeky residency raised questions about the turning point of a great city. “Banksy Does New York” is a fast-moving, kinetic document of that moment — and nobody can paint over your copy of the DVD.